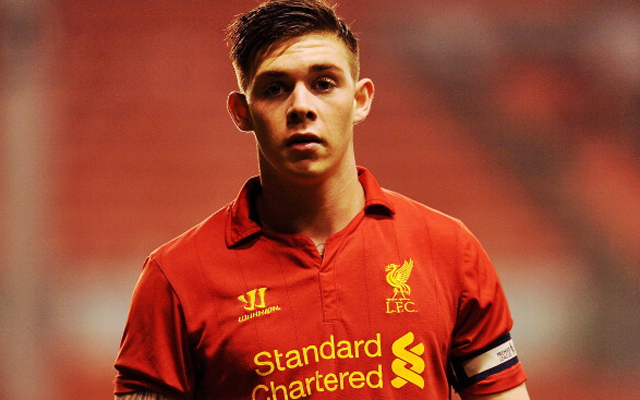 Liverpool youngster Jack Dunn has joined League Two outfit Morecambe on loan until January, our official website reports. He joins the likes of Adam Bogdan, Ryan Fulton, Danny Ward and Ryan Kent on temporary deals away from the club. The forward is a regular for Michael Beale’s Under-21 side, but has not been able to break into Jurgen Klopp’s first-team plans yet. At 21, you’d have to suggest the Scouser is unlikely to make the grade at Anfield, but we hope he manages to prove himself at Morecambe, improve and eventually move up the leagues. Speaking to Morecambe’s official website, Shrimps boss Jim Bentley said: “Jack is someone who has always impressed me and I am delighted that he has come to us. Dunn spent time on loan at Cheltenham and Burton last term, but didn’t get many minutes. With Liverpool’s new strategy on loan deals though, a clause is inserted into all these deals which insures our players must start 75% of games at their temporary sides. As a result Dunn will get regular game time for the first time in his fledgling professional career, and we’ll be able to see first hand what kind of levels he’s capable of. He’s an England Under-19 international, so this should be a great opportunity for him to show what he can do.